Does a lease contract count as debt? Getting a new car is always exciting stuff. And, getting a car for simply the price of depreciation is even more exciting. However, there are some things that you really do have to consider before you lease a car. And, yes, they’re pretty boring. A lease is a finance agreement. And, like every finance agreement, this shows up on your credit report. Like every finance agreement, this can have a positive and possibly negative, effect on your credit score. But, is a lease contract debt? In this article, we look at whether a lease contract counts as debt, and what this means for you. Yes, it does. It’s the same as any repayment scheme so will count as debt until it is paid off. It’s similar to a bank loan. 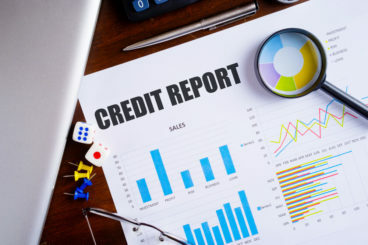 A lease will appear on your credit report as something along the lines of ‘finance agreement with Volkswagen’ or whoever your finance agreement is with. This is the same as any other repayment scheme; the fact that it’s a lease will have no additional impact. A lease payment is different to the likes of a credit card payment, for example. A lease payment is an installment account whereas a credit card is a revolving account. While this makes no particular difference, having a variety of accounts is always good for your credit score. This is true for both personal and business leasing agreements, but of course, with the business it will be under the business debt, rather than an individual. Will a lease contract affect my chances of getting another loan? Any loan company will look at your current outgoings and will see that you have a repayment agreement with a finance company. The fact that this is a lease will again, make no difference, but it’s the amount going out that may damage your chances of getting another loan, depending on how much disposable income you have. This is also the same with a mortgage. If you are looking to try and get a mortgage then we would advise you seriously consider whether you need to lease a car. I have had a customer who wanted to lease but was also trying to get a mortgage. My advice to him was to wait until the mortgage had been approved. It doesn’t matter when you actually have a mortgage or the loan, but getting approved for one could prove more difficult if you have just applied for a lease contract. Leasing your car through your business will still count as debt, as I mentioned earlier. However, it will not appear on the business accounts. 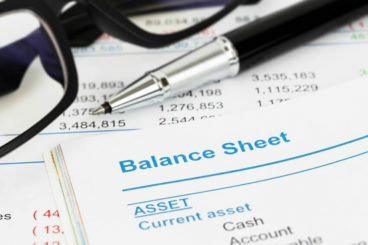 However, if you have a business contract hire, then the finance commitments of the lease is “off balance sheet”. This means that the liability of the finance doesn’t appear on the company accounts. Also, if you are leasing through a VAT registered company, then you can claim between 50-100% of the VAT back from the HMRC. Depending on the vehicle, you can offset all or most of the rental against your end of year tax bill. So, it’s not all bad. But yes, it will still count as debt because you owe the finance house money. How does leasing affect my credit rating? Leasing is the same as any other repayment scheme. If you make the payments on time, which I’m sure you will then it will only serve to improve your credit score. However, if you miss a payment for whatever reason then it will have a negative impact on your credit score. There is also a chance that simply applying for a car lease will have an impact on your credit rating. This is because 25% of your credit score is down to new inquiries (and the length of your credit history). So, if you open a new account or request new credit, your credit score could go down. It doesn’t always, it depends on how many new enquiries you’ve had in the past six months. So, if you’ve had a few then there’s a chance it could negatively affect your credit score. If you haven’t had many then the chances are it won’t have an impact. If you want to know more about how leasing affects your credit score then you can read our article here. So yes, a lease contract does count as debt. It will show up as a repayment scheme on your credit report. Like with any repayment scheme, it could hinder your chances of getting another loan or qualifying for a mortgage. Thanks for sharing a valuable information. It is really informative and helpful. the information you have shared on leasing business ia really useful and interesting. Leasing is the same as any other repayment scheme. 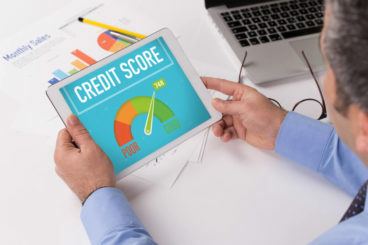 If you make the payments on time, which I’m sure you will then it will only serve to improve your credit score.So here you can find that Individual Voluntary Arrangement, is a debt management solution that can be availed in England, Wales, and Northern Ireland, by borrowers who are unable to repay their debts on time to their creditors. It is considered to be a better alternative than going bankrupt, and the borrowers & creditors are both benefitted fairlyAvail our IVA Help services now to get in touch with skilled experts & get debt advice under Government-backed services. Thank you for commenting on this post. We write these pieces to ensure that anyone who is looking to lease or purchase a car is fully aware of the responsibilities that they have towards any financial agreements made. It is always good to know that the information we are providing is informative, helpful and accurate.